Size of this preview: 400 × 600 pixels. Other resolutions: 160 × 240 pixels | 320 × 480 pixels | 512 × 768 pixels | 682 × 1,024 pixels | 3,368 × 5,052 pixels. 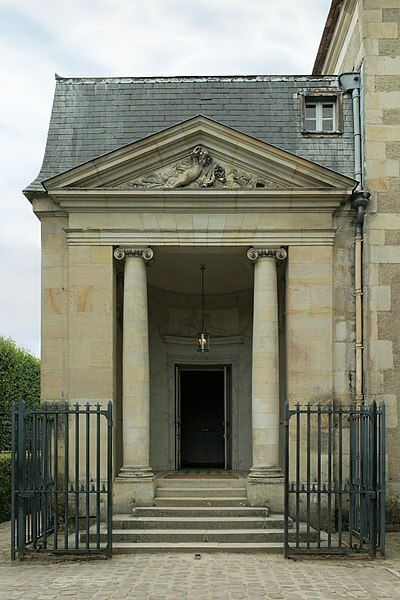 Français : Entrée du Théâtre de la Reine de Richard Mique, dans le jardin du Petit Trianon. NOTE: This image is a panorama consisting of 3 frames that were merged or stitched in software. As a result, this image necessarily underwent some form of digital manipulation. These manipulations may include blending, blurring, cloning, and color and perspective adjustments. As a result of these adjustments, the image content may be slightly different than reality at the points where multiple images were combined. This manipulation is often required due to lens, perspective, and parallax distortions.